Where does Blues' striker's goal against Man Utd rank in list of fastest goals over last 10 years? 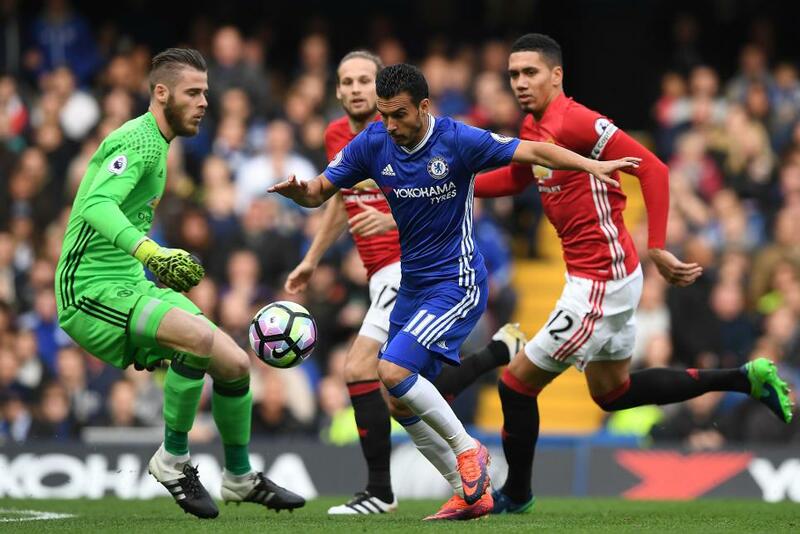 Pedro put himself at the top of the 2016/17 leaderboards on Sunday with his quickfire goal at Stamford Bridge that sent Chelsea on their way to a 4-0 victory over Manchester United. The 29-year-old forward stroked the ball home after rounding David De Gea for a goal timed at only 29.6 seconds, the fastest of the season so far. It is the first goal in 2016/17 timed at under a minute and is over a minute faster than the next quickest goal in 2016/17, which was scored by Burnley's Sam Vokesagainst Liverpool on the 1min37secs mark. The last player to score a quicker Premier League goal than Pedro's is Matej Vydra, who netted for West Bromwich Albion after 27 seconds in a 3-3 draw with Tottenham Hotspur in April 2014. Pedro's goal, however, just misses out on making the top 10 fastest goals in the Premier League since Opta started collating this data in the 2006/07 season. The quickest goal time recorded since 2006 is 13 seconds, with Jay Rodriguez (for Southampton v Chelsea in December 2013), goalkeeper Asmir Begovic (for Stoke City v Southampton in November 2013) and Jesus Navas (for Manchester City v Tottenham Hotspur in November 2013) claiming that mark. Stoke have two entries in the top 10, with Peter Crouch's goal against Arsenal in 2014 - timed at 19 seconds, the next best. That mark is short of the Premier League record of 10 seconds, set by Ledley King in Tottenham Hotspur's 3-3 draw with Bradford City in December 2000. Pedro's goal means he is also the fastest player to have scored for Chelsea since 2006.